The growth of economic inequality has eroded the public’s trust in government and the political parties currently running our society. Growing inequality can be traced to the growing divide in wages and capital profits, the rapid accumulation of wealth into the hands of a small elite at the expense of the many, and the exclusion of the most deprived people from politics; the working poor, elderly pensioners, immigrants, the disabled, and tenants. These people have few if any advocates within the political parties and their voices are weak. They are ignored and their interests are never the basis for discussion. The exclusion of the poorest in our society from political discussion has eroded the democratic foundation that should assure equality for everyone and the ability to take part in decisions about issues that affect them. Those who currently have power can never reach just conclusions when a third of the population, those who experience the worst living conditions, have been excluded from the discussion. Most of the real progress in our society was achieved during the class struggle of the poorest during the last century. The injustices that we see in our society today can be traced to actions taken by the economic elite and their spokespeople in government during the last decades. Most of the gains that were made by the working class were undermined and discussion has been suppressed and silenced. Without ongoing class struggle we are giving the richest few more power and more economic and political strength that will lead to the the continued concentration of wealth and power into the hands of the capitalists. The candidacy of the Socialist party of Iceland to city council has not only the mission of setting the issues concerning the poorest people in our society at the forefront, but also to allow those groups of people who have been excluded from the political conversation to sit at the table and make decisions about their own affairs. A city council where a homogeneous group sits in all the chairs will inevitably keep going in the wrong direction, come to the wrong conclusions and harm the most vulnerable people of our society more than they have already. By doing so the city council undermines the community. Equality will not be gained unless the poorest and most fragile people in our society have a voice in the political process. Without their active participation, inequality will keep on rising and will lead to deteriorating living conditions of all the public. Working poor people rose up recently and gained the leadership of Efling, the biggest labor union in Iceland, demanding radical class struggle. This uprising of the poorest will continue this spring with the candidacy of the Socialist party of Iceland for city council. The people demand being heard and to have a seat at the table where decisions are made so that the interests of the weakest and poorest will be taken into account in decision making. The people who are worst off in our society are stepping in from the cold and demanding their rightful power this spring. 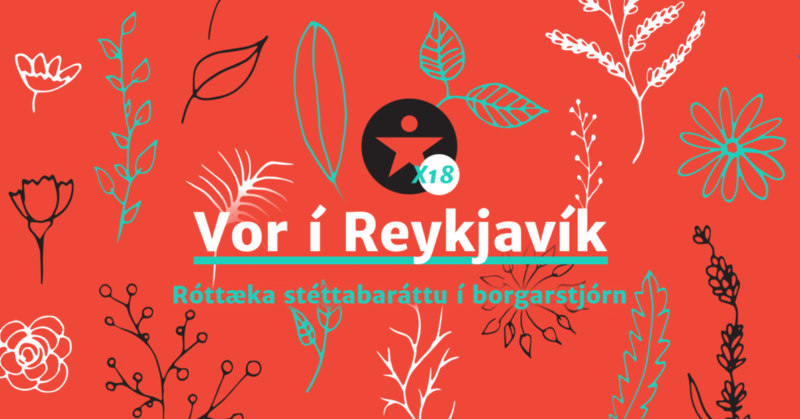 A meeting of the Socialist party regarding candidacy for the city election will be hold at the Cultural and community center of Gerðuberg in Breiðholt on Wednesday April 4 at 19:00.